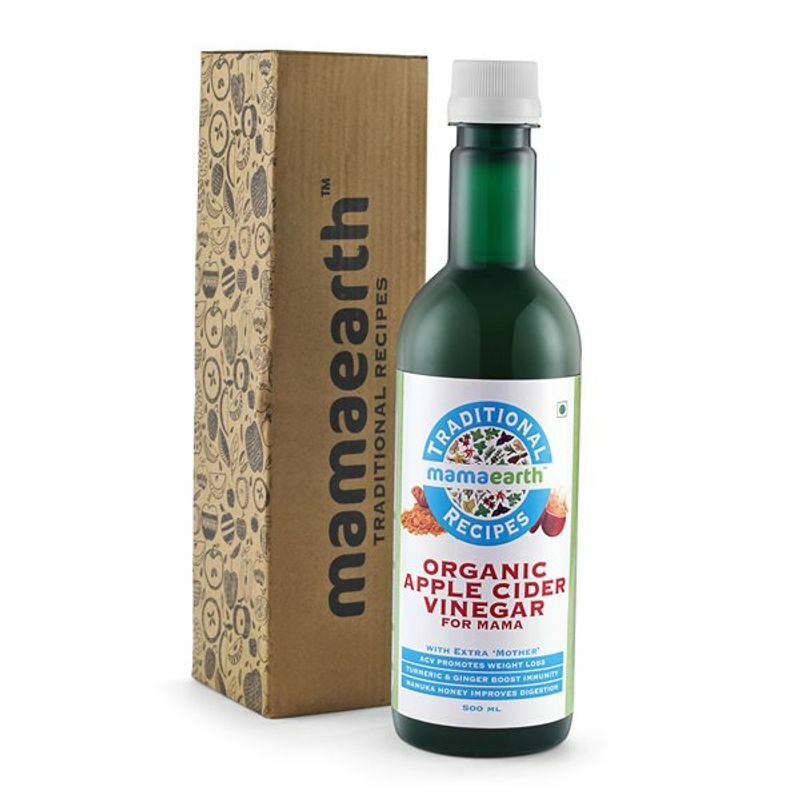 The Organic Apple Cider Vinegar by Mamaearth is specifically formulated for women to assist in weight loss. Naturally fermented from Certified Organic Himalayan Apples, this wonder is raw, unfiltered and unpasteurized, preserving live cultures known as the 'Mother' to keep enzymes and nutrients intact. The 'Mother' in it is the dark, cloudy substance found in the vinegar, formed from naturally occurring pectin and apple residues. The presence of the 'Mother' shows that the best part of the apple has not been destroyed. With New Zealand's Manuka Honey, Turmeric, and Ginger, this ACV naturally assists in healthy metabolism and weight loss. It is completely free of Artificial Colours and Preservatives. Apple cider vinegar is a rich source of Vit. A, Vit. C and Vit. E, enzymes, potassium, magnesium, calcium. Explore the entire range of Herbal Tea available on Nykaa. 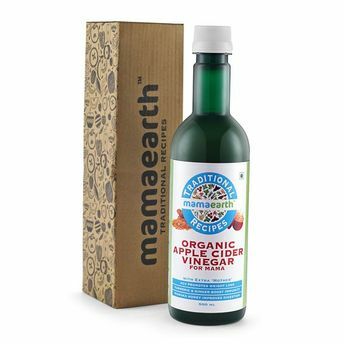 Shop more Mamaearth products here.You can browse through the complete world of Mamaearth Herbal Tea .